Howdy all! Happy Valentine's Day to everyone out there today! I'm so happy you could join me today here on the blog. 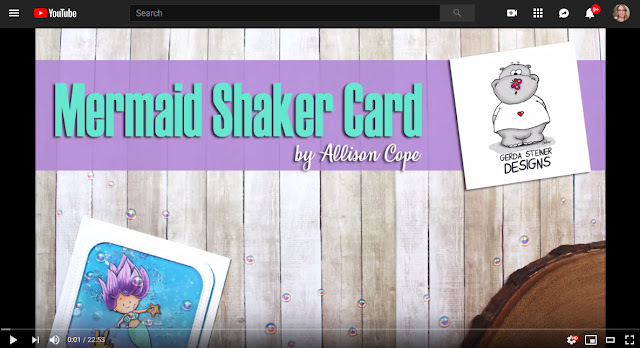 Today I'm going to make a simple shaker card using the digital stamp "Mermaid". This cute image includes a scene with a seafloor, a little fish, some bubbles and a sweet little mermaid with a starfish in her hand. So grab a cup of something warm and join me in my craftroom! Thanks for joining me today! I'd love to hear what you think about this card!